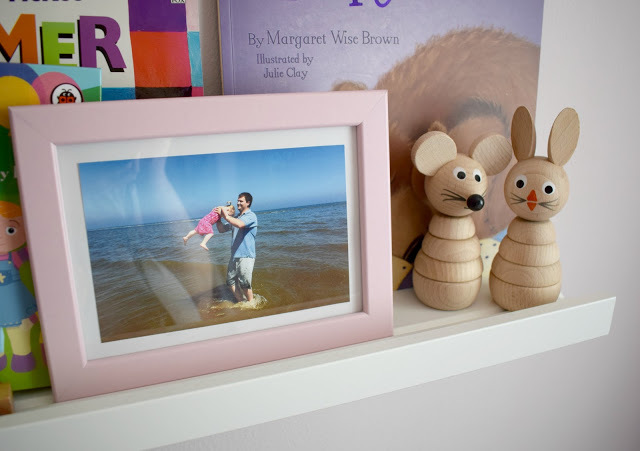 Just before Isabelle was born, I decided to give the girls room a makeover, if As they will, of course, be sharing a bedroom soon, and their room used to be fairly dark and uninviting. I picked a really pale pink colour, which is almost white, and it really brightened up the room, not to mention the fact that almost all of their furniture is white. I adore the girl's bedroom it is definitely my favourite in the house, although it doesn't feel finished. I wouldn't change the colour of the room as I absolutely love it and I have just repainted one wall as Emily thought it would be a really good idea to draw on it, leaving me no choice. I do want to wallpaper one wall though. I have been looking at various children's wallpapers, and while I have fallen in love with some beautiful murals I do want to keep the room fairly grown up, as I would like it to grow with the girls. Especially because I know that the two of them are going to have very different tastes and interests as they get older. I have always used rainbows or floral in the girl's room, and considering he does in the girl's storage unit are floral, I'd like to keep with the floral. 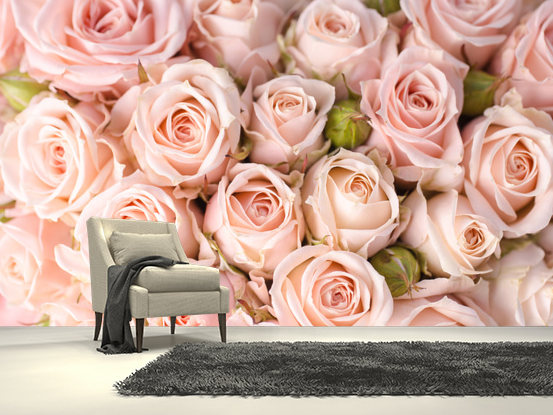 I found a beautiful bright pink rose mural, which I think will match in perfectly with the colour of their bedroom but also the furniture they have. Now I just have to pick which wall it is going to go on. 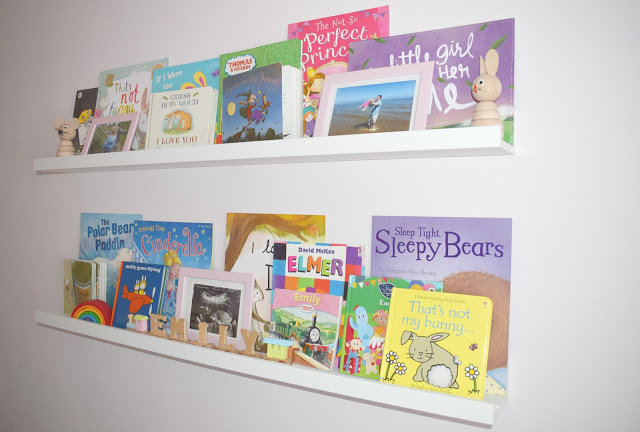 The girls have bookshelves on one wall, and the opposite wall is the wall that their beds are against. I'm thinking that it might be best to have it on the wall where their beds are. I love that wall murals are so simple to apply and pretty inexpensive, but they give a bedroom a whole new look. I think I'll also get the girls some new bedding to match and it will be as if their whole bedroom has had a makeover.